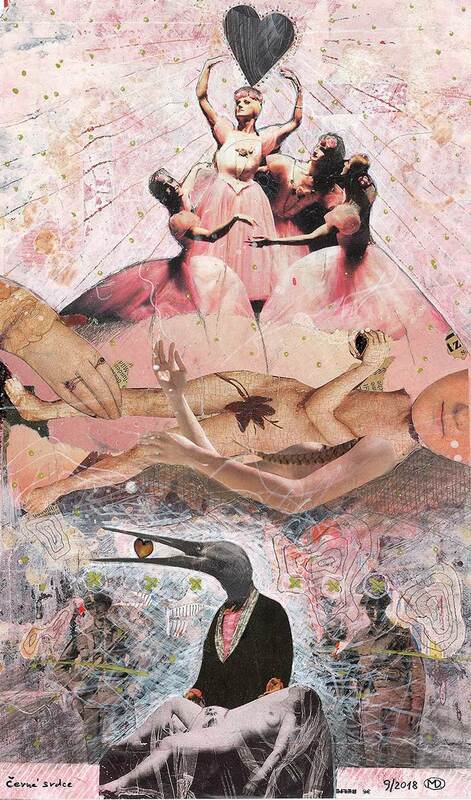 My collages: this is just a play. I enjoy the lightness with which anything can be composed, at the same time creating stories that I think up. Tearing and cutting old newspapers and magazines into pieces and returning all these beautiful pictures to the world, to a new life and in new contexts. 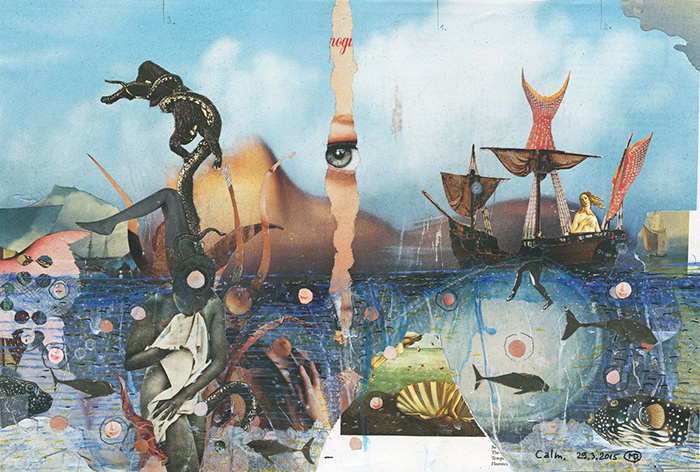 I work in an advertising agency and spend most of the time working with computer graphics programs, and yet I make my collages by hand, from old newspapers with scissors, glue, tape, pencil and paints. I have been doing it for over 30 years and it’s still fun for me and a great fantasy adventure. “I’m just playing,” says Martin Došek with mysterious smile, which, in any event, reinforces is aversion to talking about his work. He evokes parallels with Dutch painter Hieronymus Bosch, who is seen as a 15th century Surrealist. 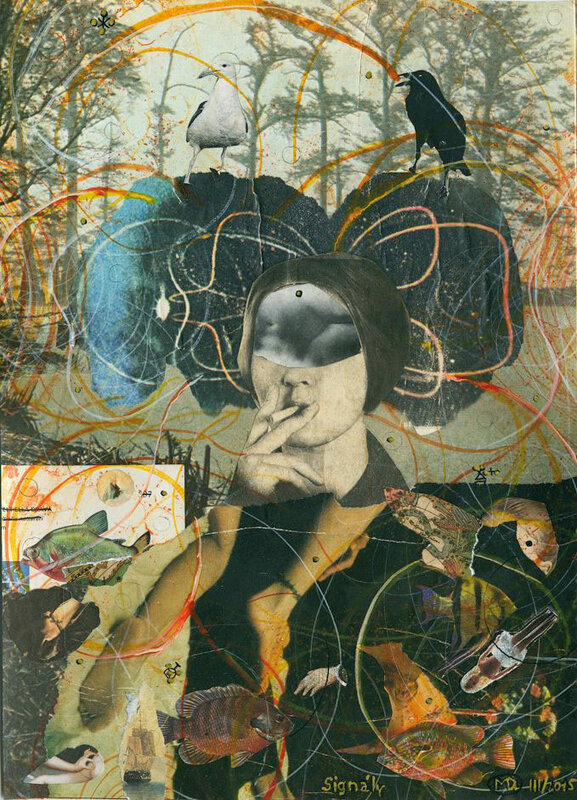 Došek glues his collages individually with no less an urgent momentum, the same way as Bosch didn’t let anyone look into his inner thoughts, and so disgorged pictures that presented the magic of the Middle Ages (and with everything that went with it) with crudeness, cutting to the bone. 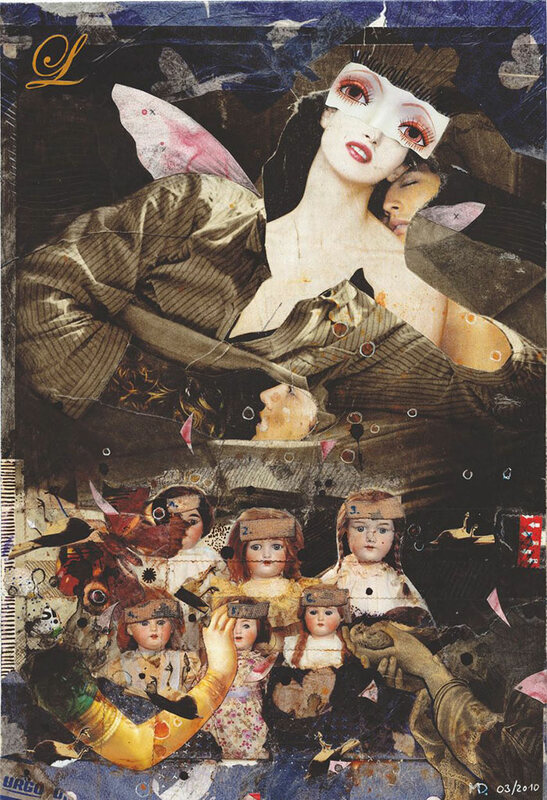 The defiling of women or girls in his collages, or more precisely their absolute adoration (pious veneration, not worship), with a total absence of men (except the holy ones), whose phallic presence is limited just to quizzical, plumed creatures, evokes an escape into a false Eden, which has to lead to the destruction of humankind. Surrealism is, fortunately, an avant-garde artistic direction, which has nothing in common with conventional logic and is plunging us into fantastic images and dreams. 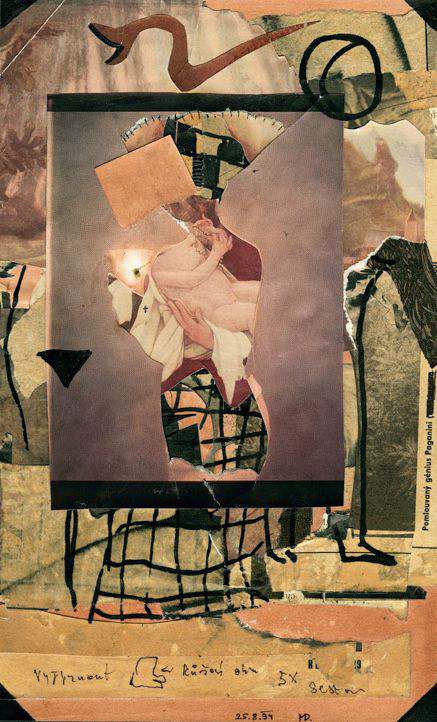 The power of Došek’s minimalist collages lies in the fact that we easily believe him, that Saint Sebastian was stabbed to the death by some courtesan during a ride in a limousine, or that, indeed, a unicorn is a hairy blonde girl. The sins of humankind have in no way decreased since the Middle Ages, perhaps even increased, and the Last Judgment is still far off. Maybe just a bizarre combination of dreams and reality, life and death enables us to survive the unsurvivable.